The oil & gas industries, both so crucial to the way we live, are heavily-reliant on insulation systems. When creating such systems, applying steel and MLV (Mass-Loaded Vinyl) separately can cause difficulties; these issues were solved by BS Stainless with the creation of SoundMet, a unique product that combines MLV and metal into a single, efficient and cost-effective product. One of the biggest problems with MLV is its heavy weight which, when the material is used in tanks or vertical pipework, can slip out of place. This results in gaps which allow sound to escape, making it useless as an acoustic barrier. Bonding metal to vinyle makes such movement impossible and this, combined with a 15% increase in bond strength to metal joints, delivers unmatched acoustic performance while saving time and thus money. Cost is obviously a major factor influencing purchasing decisions, leading to high demand for effective, low-cost sound and vibration barriers. Safety must of course not be affected and SoundMet fulfills both briefs admirably. Alternatives to MLV include bitumen sheet which, while versatile and relatively lower in price, is difficult and costly to recycle. It causes several safety risks and it is almost impossible to use it and simul­ta­ne­ously comply with Registration, Evaluation, Authorisation and Restriction of Chemicals (REACH) guidelines. Developed by BS Stainless, VibroMat (used without metal) and VibroMet (used with metal) are similarly-priced substitutes to bitumen sheet that offer increased performance and levels of safety in usage. Both products feature PVC, which can readily be recycled, in their fabriction and can be bonded to any kind of metal; a peel-off adhesive backing can be added if necessary. 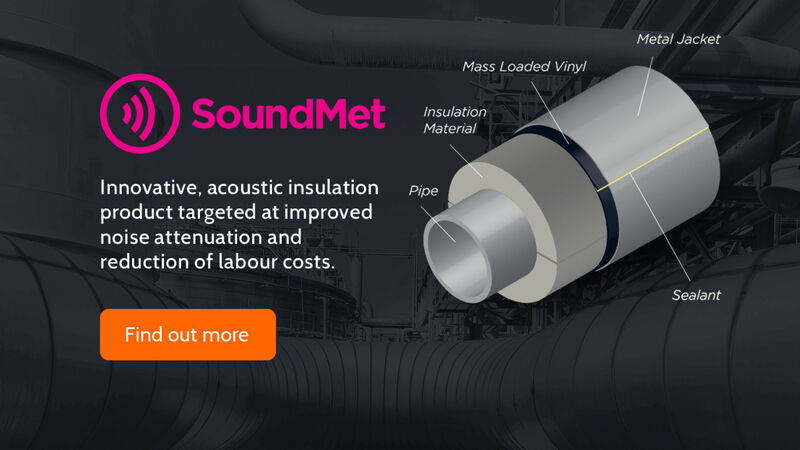 Find out more about our acoustic barrier solutions on our website and get in touch with our technical team for expert advice. Repre­sen­ta­tives from BS Stainless will be at LNG 2019 in Shanghai next month: please subscribe to our newsletter for updates.